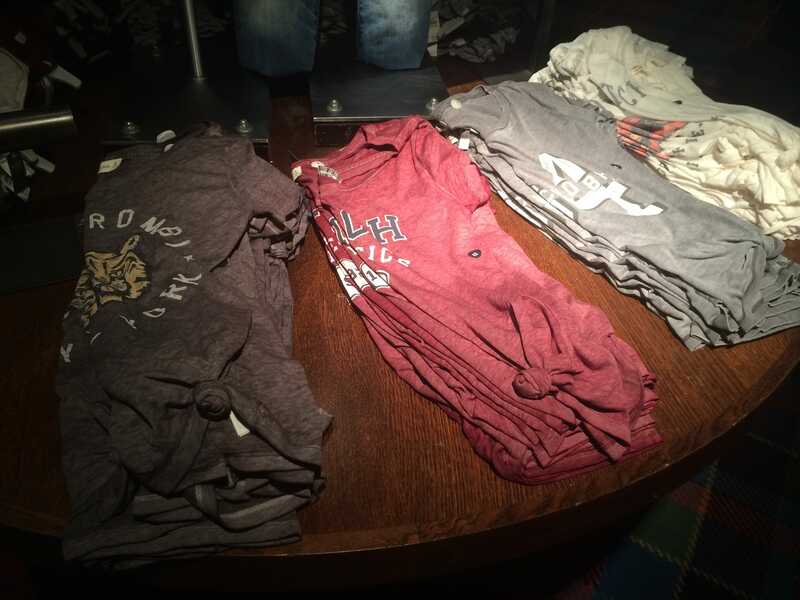 ReutersLogos and dark lighting are still part of shopping at Abercrombie. Abercrombie & Fitch’s sales are in a downward spiral. The once-leading teen retailer has struggled to stay relevant since the surge in demand for fast-fashion brands like Forever 21 and H&M. Abercrombie has also been criticised for excluding plus-size customers and minorities in its stores. 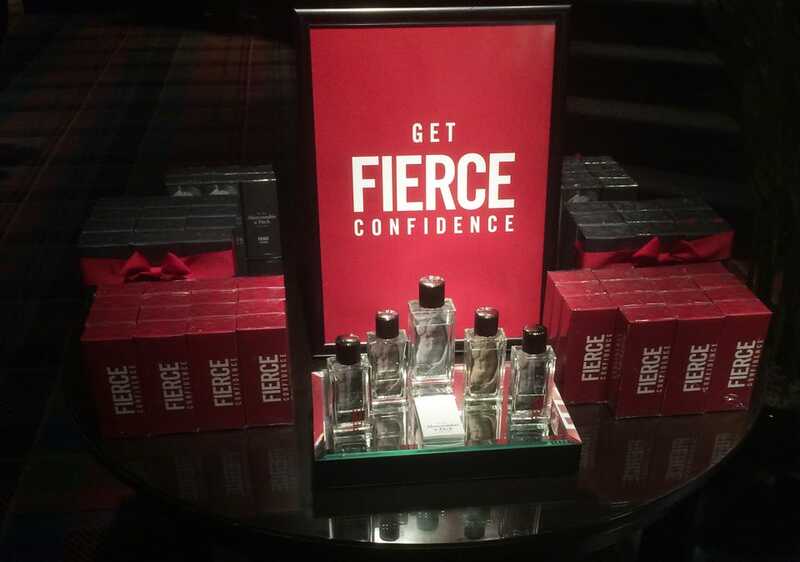 For several months, Abercrombie has been touting a rebrand that apparently includes scaling back on logos and spraying less of its Fierce cologne in its stores. But when I went shopping at Abercrombie & Fitch on Friday, it was very similar to when I visited the store a decade ago. There were some attempts at toning down the image — the preppy models on the in-store posters wear more clothes now, and the store seemed better lit than in the past. Despite these subtle changes, the Lower Manhattan establishment still reeked of Fierce cologne, while the retailer’s familiar nightclub-esque music played in the background. The staff was young, thin, and attractive. Ashley Lutz/Business InsiderThe stores still reek of Fierce cologne. The iconic polos and T-shirts emblazoned with moose logos were also in stores. 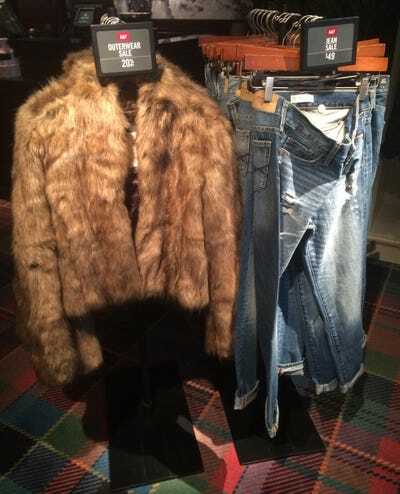 Abercrombie’s store did have one noticeable difference from the past — bold fashion assortments placed alongside the preppy designs. The company said on an earnings call with analysts earlier this year that the American logo business would be reduced to “practically nothing” by next spring. There was this faux fur coat, which retails for $US160 but was on sale for $US110. 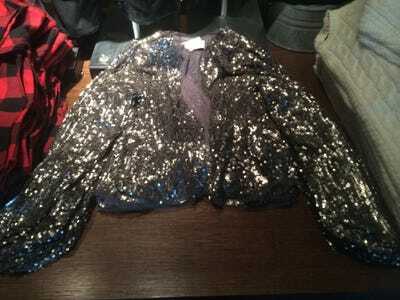 And a sequined cardigan, which sells for $US98. 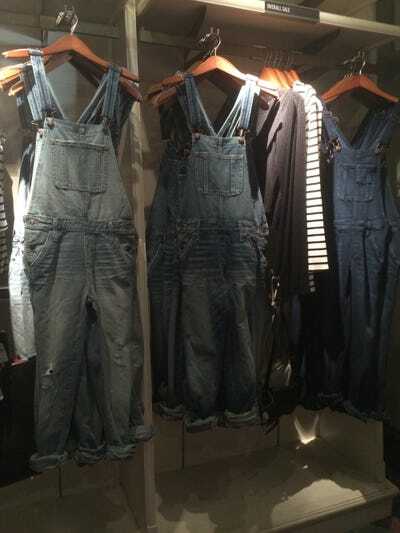 In some cases, the fashions got a little bizarre, as with these overalls. They were marked down to $US39 from $US98. Abercrombie is obviously going through a big transition. But there are a few problems with the new strategy. 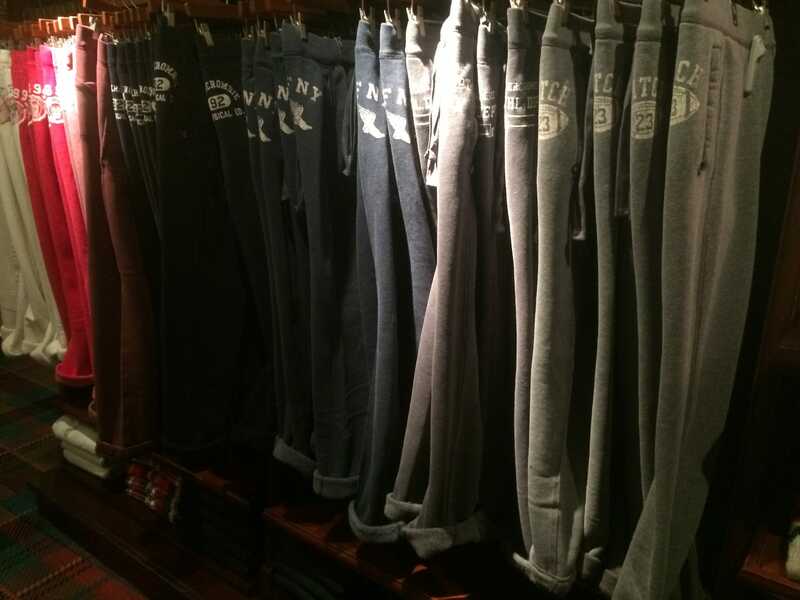 Abercrombie’s price point is significantly higher than the fast-fashion brands that are hurting business. Teens like shopping at Forever 21 because they can try out new styles without a big investment. Online shopping and apps have made shoppers more price-conscious than ever, making this trend likely to continue even as the economy improves. Right now, shopping in the store is a confusing mix between classic, preppy fashions and high-priced fashion. It is unclear what kind of audience Abercrombie is trying to attract. Until Abercrombie figures out its audience, it will probably continue to struggle. 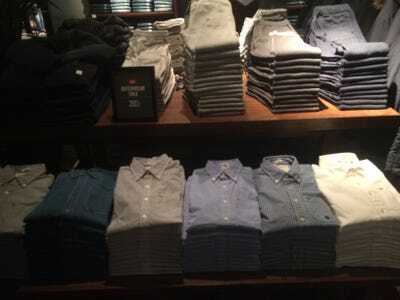 “Abercrombie is no longer the only place in the mall for teens to get stuff to wear to school,” Brian Sozzi, chief equities strategist at Belus Capital Advisors, told Business Insider.